The October of 2016 was the last time, that the lithuanian dubtechno protagonist visited us. After many releases this autumn brought him 2 vinyls, one YWF remix with Kontakt Records and one EP called Balance with Pro-tez Records. After his dj set 2 years ago, now is the time to blow up Lärm with his live act. His sound levitates in the golden middle - between the ancient woods and asphalt jungle. The purity of these soundscapes is usually predetermined by recording the tracks on the tape, and inside these tapes, the producer encrypts both his family, everyday life, philosophical thoughts, space explorations, and some wild fantasies of how it all would sound live through a proper sound system. 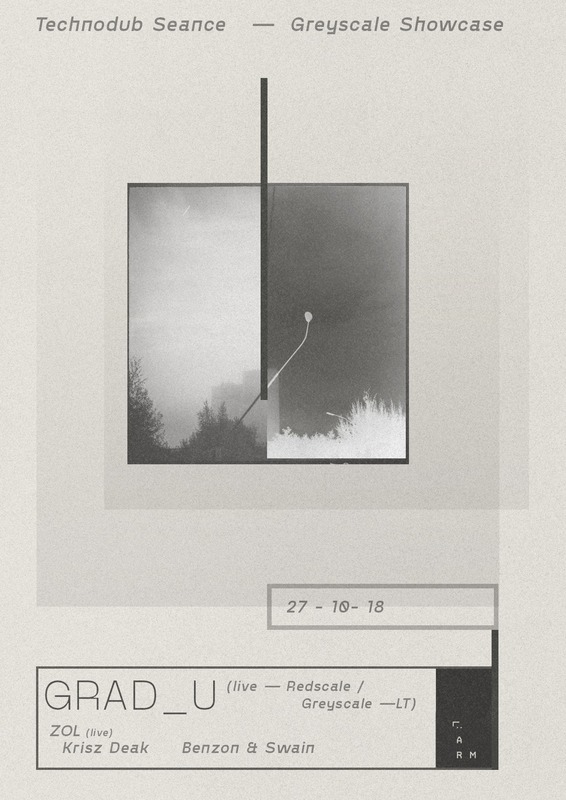 He founded his labels in 2012 - on Redscale he produces and releases his own deep dub tunes, and Greyscale has the space for many other dubtechno producers to explore. His wife, Rima Prusakova’s beautiful analogue photography provides the visual identity of the label. In the name of Greyscale Showcase; you can hear - besides some new tracks - the most iconic pieces of ZOL’s new album, Constellations, released this October.